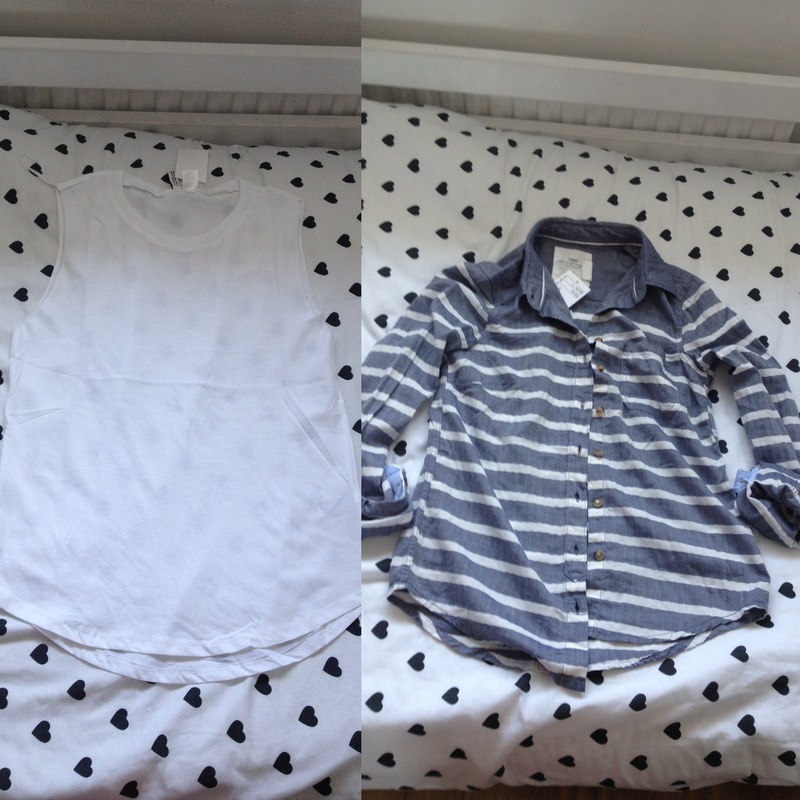 I went to H&M on Friday for an impromptu shopping trip and of course I had to buy things! I mainly went to buy some vests to wear as pyjama tops as I had to leave mine in Majorca last week due to an overweight suitcase… More on that in a future blog post. But me being me, I couldn’t just stick to my “I’ll only buy three vests” idea. 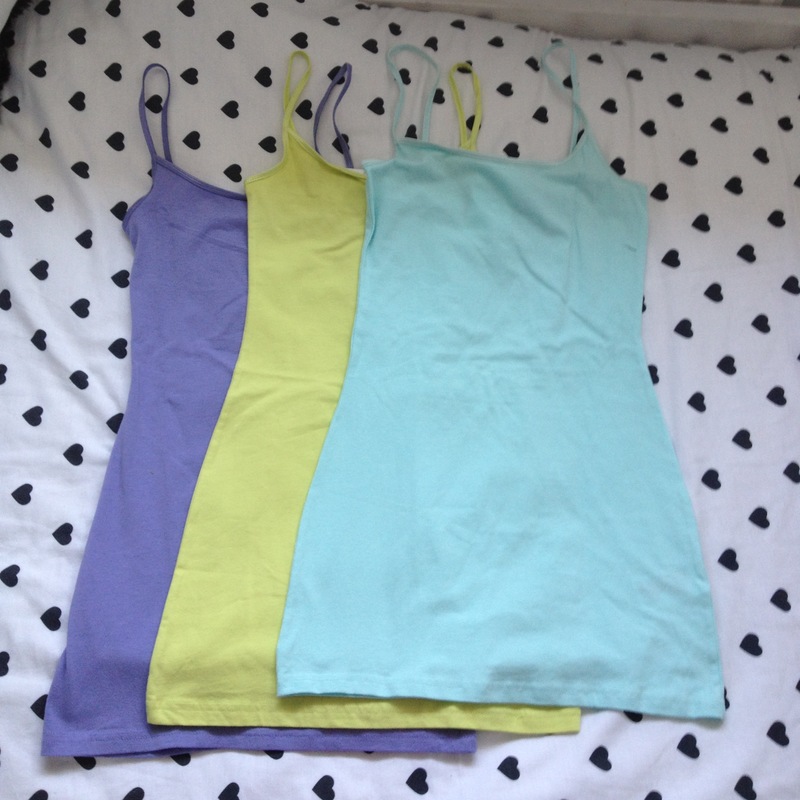 These were the three vests I bought intended for pyjama’s. Simple stretch jersey vests in pastel colours and at only £3.99 each you don’t have to be too precious about washing them, although in my experience with H&M vests, they’ve always washed really good and lasted years. I saw this jersey dress on a mannequin in the window and really liked it. It’s clearly “influenced” by recent Givenchy collections with the panther visual, and it’s a simple item that can be worn both in the summer (in fact, I’m wearing it today paired with a cream lace tiered skirt) and the winter with a leather jacket, tights and biker boots. I really liked the red tee to wear with white jeans and biker boots or to pair with a pair of beaten up shorts for the summer. Both at extremely great prices being from H&M. You can’t really see from this crappy iPhone shot, but the white vest is a loose fitting simple jersey tee with cut off sleeves and enlarged arm holes. I loooove these in the summer with coloured bras or bikini tops. The demin shirt on the right is a soft cotton denim, with the ability to be worn all seasons round, layered up in the winter or paired with skinny jeans or skirts in the summer. This entry was tagged colours, denim, dress, fashion, Givenchy, H&M, HAUL, online, pastel, pyjamas, red, shirt, shopping, stripes, style, tee, tshirt, vest, vests. Bookmark the permalink.